This hand pump is specially designed for inflation of the Yamuna balls. The pump is small, light and perfect for travel. It comes with a removable needle, so you can also deflate your balls. Note: Many sports pump inflation needles will fit into the nozzle of the Yamuna balls, but some may be too large. 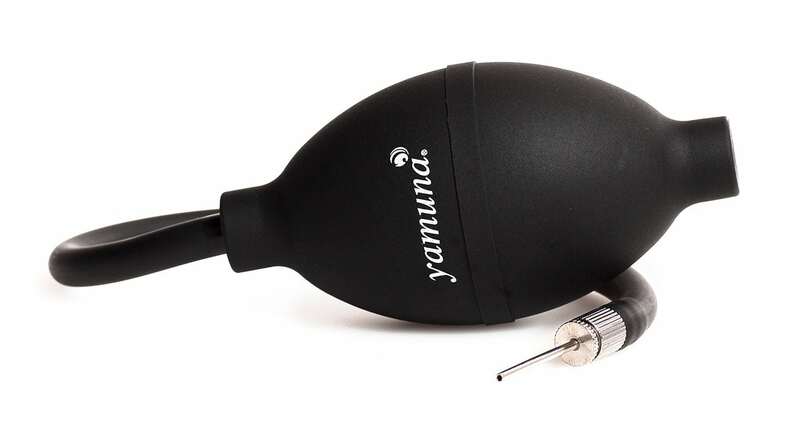 Use of incorrectly sized inflation needles can pose a risk of damage to the Yamuna balls.